Castle Rock Bike & Ski offers sport, performance and demo ski, snowboard and snowshoe rentals. We want you to enjoy a whole day on the slopes, so we have you pick your gear after 3 p.m. up the day before you hit the slopes and return it by 1 p.m. the day after. 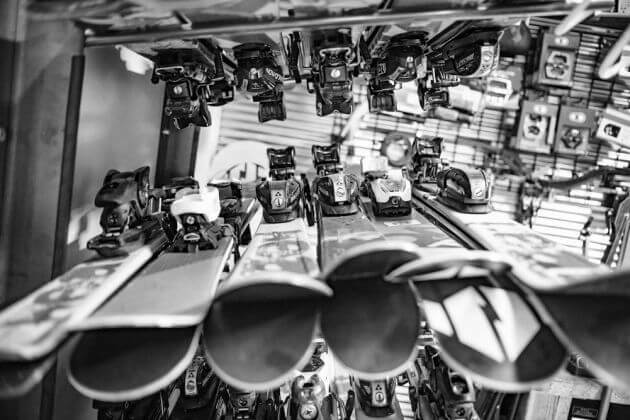 Use our easy rental reservation form or call us ahead and we’ll set aside the gear that fits you best. We'll have it ready when you come in to pick it up. Reservations cancelled less than 24 hours in advance will be charged in full. Note: Reservations made after 3 p.m. for the next day should be made via telephone or in person. We can't guarantee we will see it before you want to pick them up. Thanks!